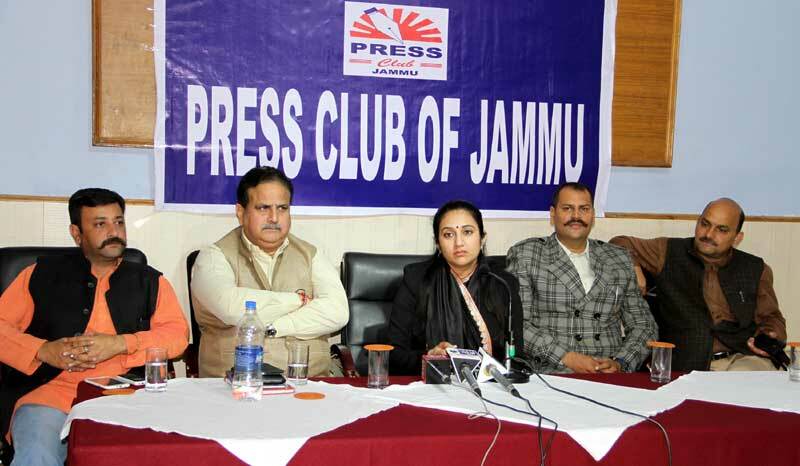 Jammu, November 23: To counter malicious anti-India propaganda launched by pro-separatist groups in aboard, Voice of Dogras (VOD) have joined hands with all nationalist groups in different parts of the world to jointly frustrate such evil designs. 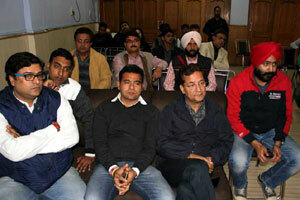 VOD is also working assiduously to bring back the lost narrative of the Dogra community. 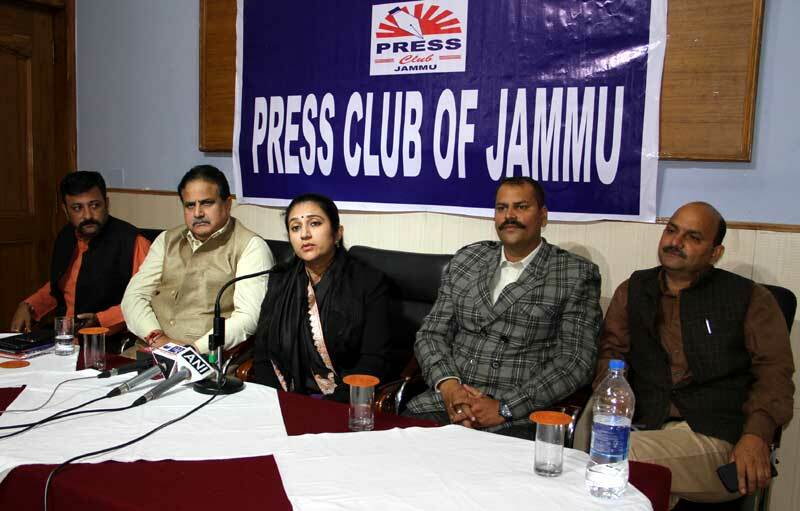 This was disclosed by Mrs Manu Khajuria Singh, founder of VOD, while interacting with media persons in an interaction organised by Press Club of Jammu. 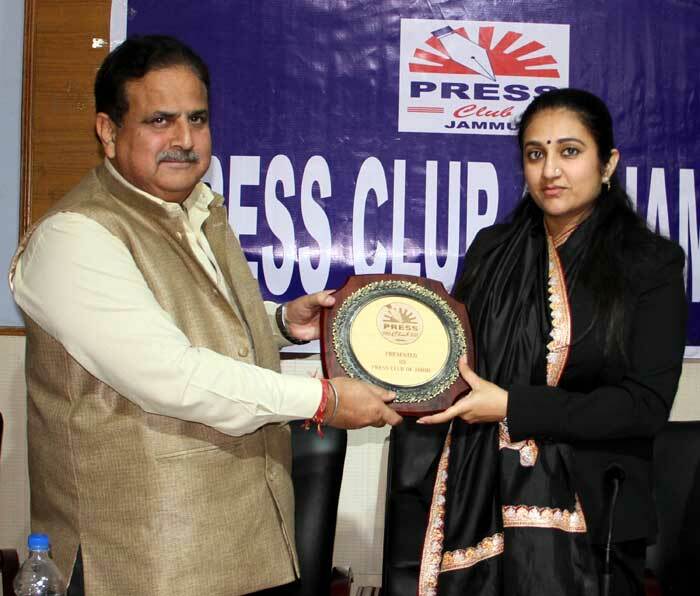 Mrs Singh, who in Jammu these days, told media persons that their first initiative has yielded very encouraging results when VOC along with other nationalist groups had celebrated Accession Day in a big way in British Parliament on October 26 to mark historical occasion. 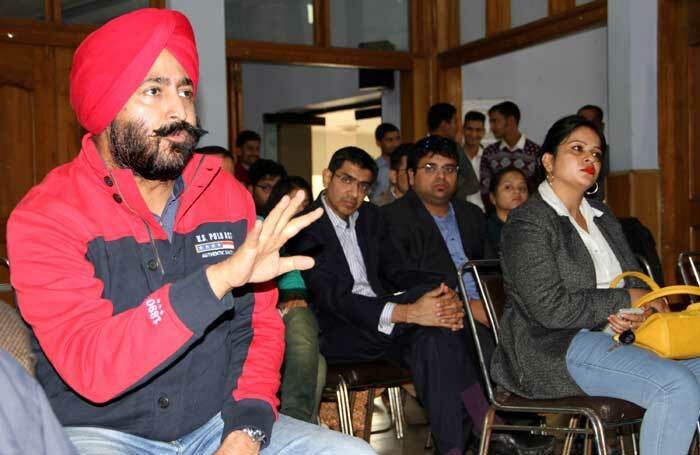 Manu Khajuria Singh is a community activist based in London. 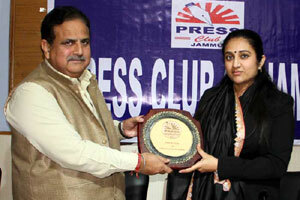 She is the founder of “Voice of Dogras”- a community organisation that espouses the rights of Dogras. 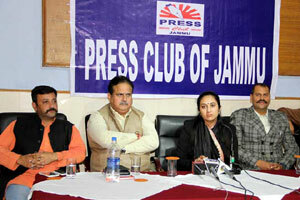 “For the first time since 1947, nationalist groups have joined hands to counter the separatist lobby in the United Kingdom (UK) on October 26, which marks the 68 years of signing of the instrument of accession”, she said and pointed out that a seminar was successfully organised in the British Parliament on the situation in Jammu and Kashmir and the historical validity of the accession. 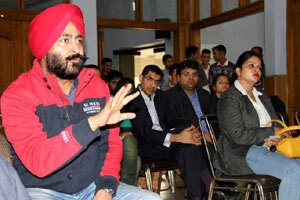 Documentary films and an exhibition of the Dogra rule will be the highlights of the event. It will be attended by British lawmakers, including MP Bob Blackman. She said that not only Conservative MP Bob Blackman attended the event but a number of MP from Labour Party also witnessed the function which was a good beginning. She opined that their first initiative has effectively exposed malicious anti-India propaganda by the anti-India lobby in the UK. 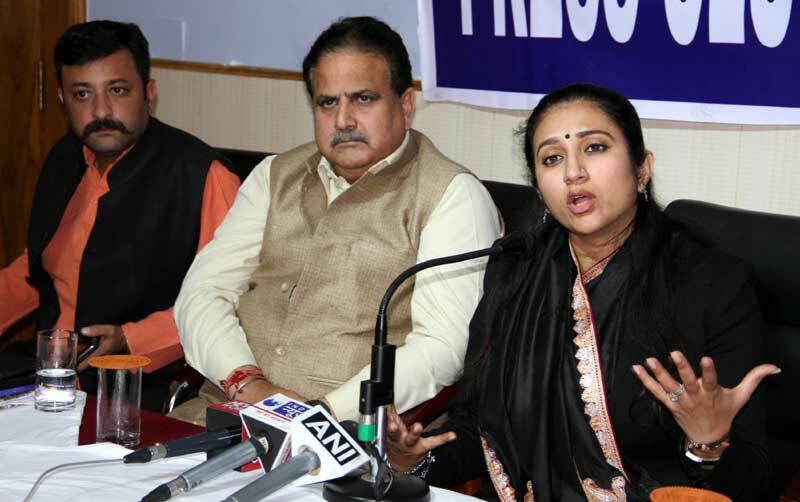 “Our initiative has changed some narratives because first time numbers of peoples were informed about false campaign of anti-India groups”, she said. Giving details about her organisation she said that VOD is a Non-Profit Organisation. 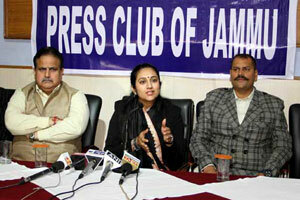 It is an attempt to bring back the lost narrative of the Dogra community of Jammu region in India. She pointed out that Dogras also have an unparalleled history albeit now obscure and therefore little recognized both nationally and locally. “The Voice of Dogras” thus stands to revive and espouse the rights of this community and bring visibility to their unique identity. 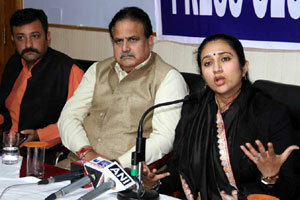 “Our aims is to work for the empowerment of the Dogras. 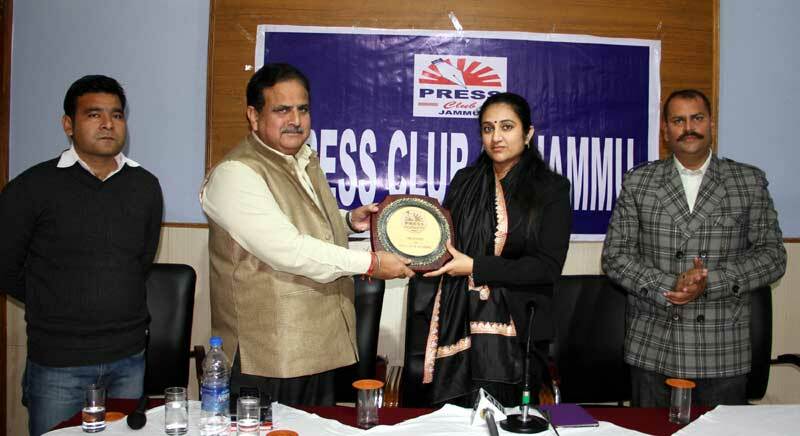 We believe in equal partnership of all ethnic groups”, she said and introduced core team of his group namely Pranab Sharma, Kunal Sharma and young girl Ankita Baru. 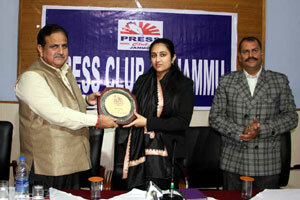 Earlier president Press Club of Jammu, Ashwani Kumar presented memento to Mrs Manu Khajuria Singh on behalf of PCJ. 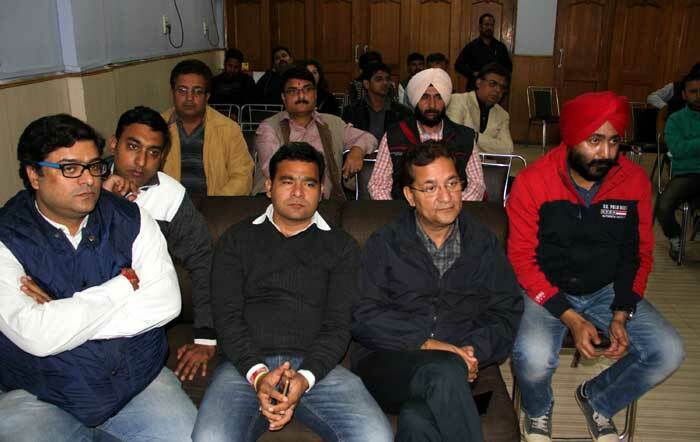 Other office bearers and executive members of the PCJ were also present on the occasion.